For me upcycling is a way of life. I am constantly trying to find materials that I can upcycle and turn into something new, beautiful and useful. It’s like giving things a new lease on life…and I LOVE that! I love to craft and I am a new and extremely excited altered artist and upcycling fits in very well with what I love to do. I already own die-cutting and embossing machines, specifically the cuttlebug and sizzix big kick, a Cinch 2 book binding machine and lots of embossing folders and dies. I also love to use Tim Holtz’s alcohol inks and Sharpie markers. I use all these machines and materials and I use soda cans, plastic bottles and packaging, fabric scraps, old books and magazines, old cds and a host of other ‘trash’ to create upcycled wonders. 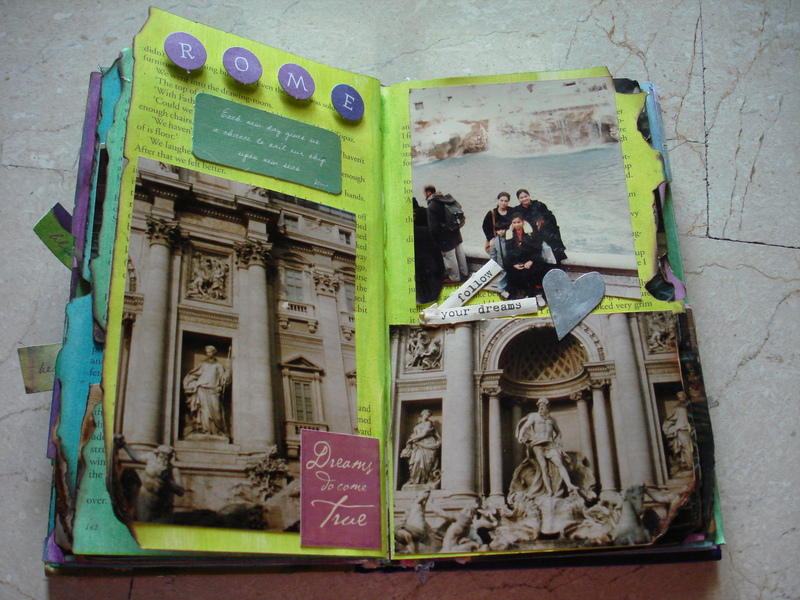 I have documented my adventures in some books. You can read more about the books currently available at: http://alteredupcycling.com/books.php and you can also browse my blog for all sorts of upcycled projects. 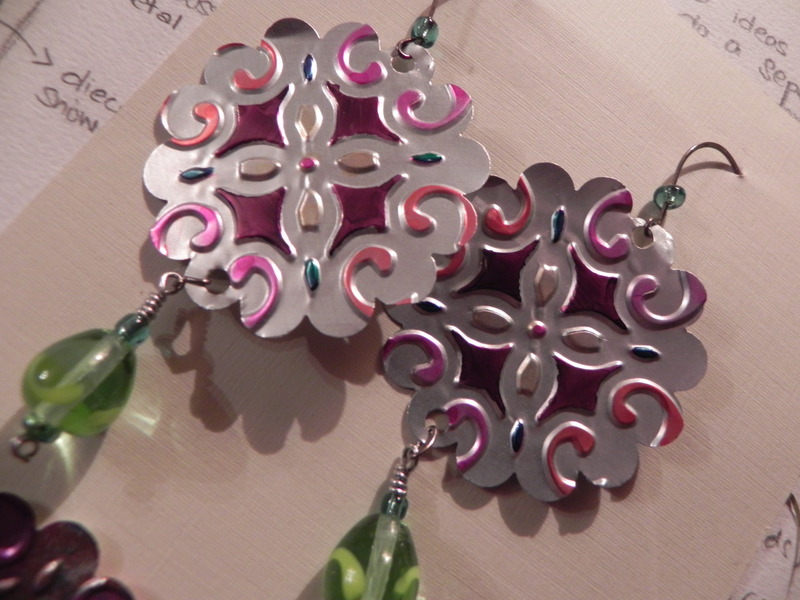 From earrings, pendants, frames, table decor to woven bags and magazine ATCs, my blog, books and website have it all. 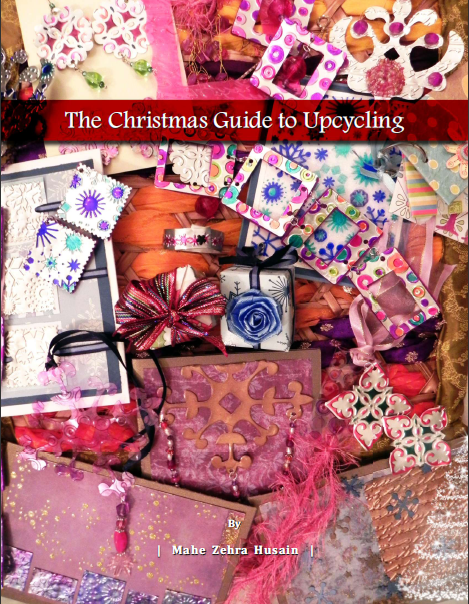 If you love to upcycle please sign up to follow my blog and I will send you a free e-book called the Ultimate Guide to Upcycling. 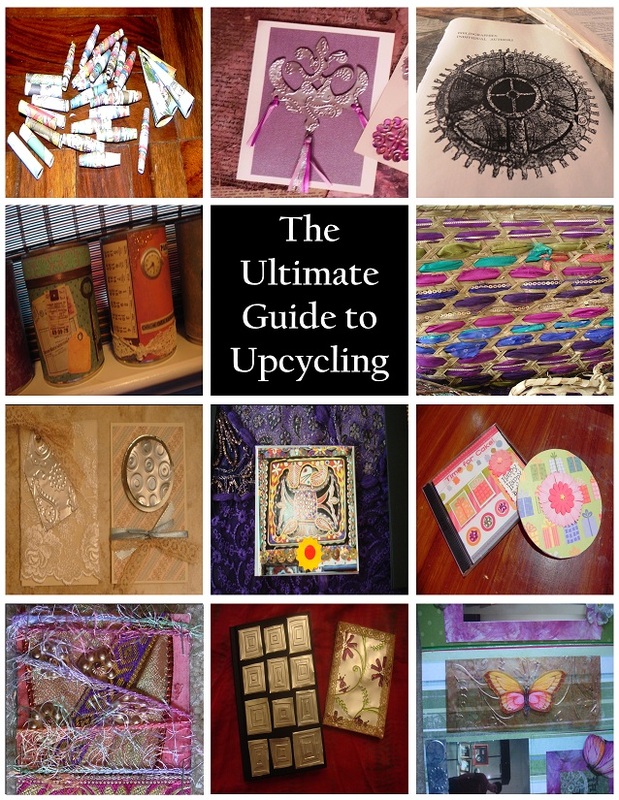 The Ultimate Guide to Upcycling is the only guide you’ll ever need to start the journey of green crafting! Turn soda cans into jewellry and cards, turn cd cases into birthday cards, magazines into candles and scraps of cloth into artist trading cards. Upcycling was never this cool and never this easy! 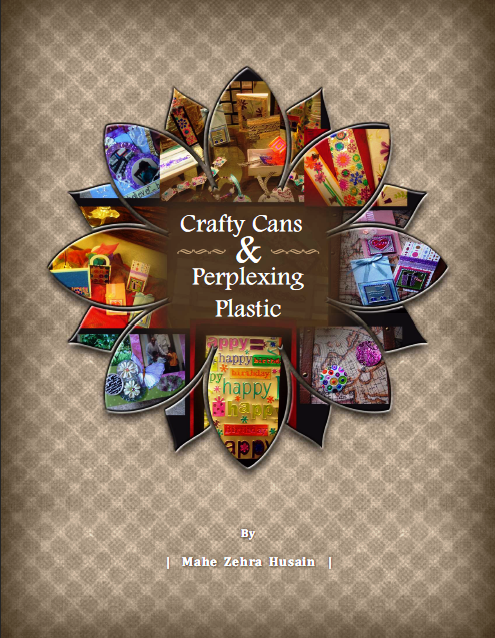 Here are the list of projects that you get to make using this FREE e-book! Sign up below to get your copy completely FREE today! I’ve been wanting to upcycle most of the stuff we normally throw out, but haven’t figured out what, there’s so much plastic packaging and other materials that we could use and incorporate into our arts and crafts. Thank you for your time and passion to show us how, and what can be used to upcycle! Hi, how have you got round coca cola and others from stopping you from producing things and showing things in your book with their logo on it? I have just made a keyring using a Moshi trading card and tried to auction it on ebay. they have removed the listing saying it infringes copyright….. Have you had any trouble like this? 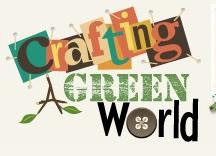 I am looking forward to creating crafts.i love crafts and also make my own cards etc, etc. That’s great Jenny! Don’t forget to subscribe for the FREE crafting guide on my website http://www.alteredupcycling.com. I am sure you will love it. Do share pictures of your work. I would really like to see what you make. Oh I would love to have a copy of your “Ultimate Guide to Upcycling” When I signed up few days ago I didn’t get any … yet.